Monday is here and so is the end of January! Five sketches down and five cards made for next Christmas!! 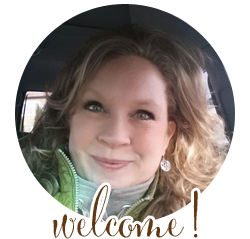 This week I am pleased to have Wendy Aungst as my Guest Designer and I am also offering blog candy!! The sketch this week is REALLY simple...feel free to use a smaller circle or a square. Change the sentiment spot and make it your own! Please just make sure the sketch is still visible. Thanks! Here is Wendy's amazing card! 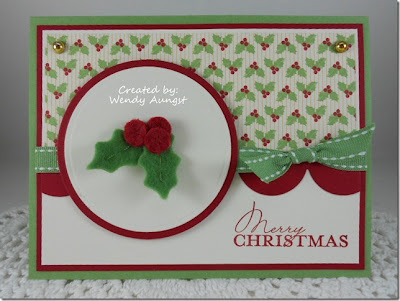 I love those felt holly and berries! Such a sweet card Wendy!! You can visit Wendy's blog by clicking HERE. I also went with traditional colours for my card and this is what I came up with! I inked up a Pink Cat Stamp and then used a sentiment from Stampendous. I just love that sentiment! I used Garden Green DSP from my stash and paired it with Whisper White and Poppy Parade. The elf is coloured with Copics and the circle is created from my Lacy Circle Nestability dies. I also got some gingham ribbon out and added that across my card! Here is the Candy up for grabs...it is just a little something...for a chance to win the candy, please play along! I will choose one random winner from all the participants of this week's challenge! 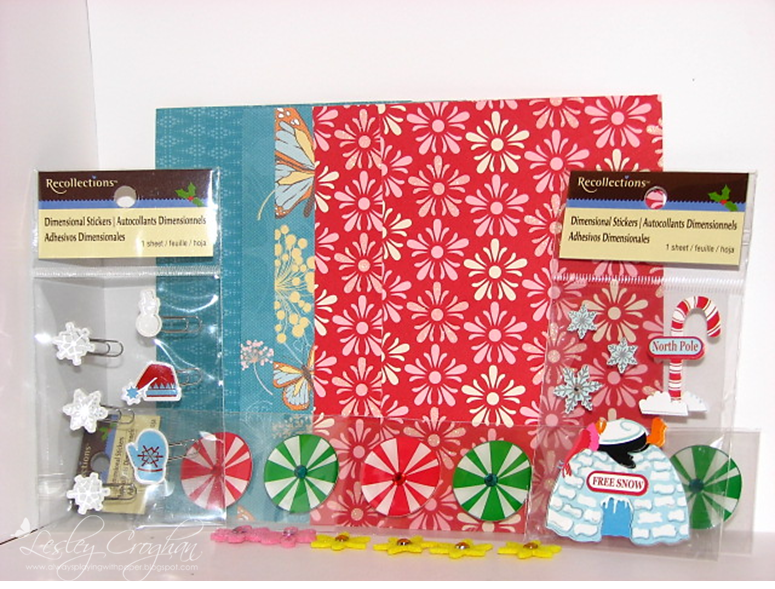 What's Included: 3 sticker packs, some scraps of Designer paper (roughly 4" x 5"), some felt flowers. haha that little elf makes me so happy! The recipient is going to love that card! I am so far behind on my commenting :(. 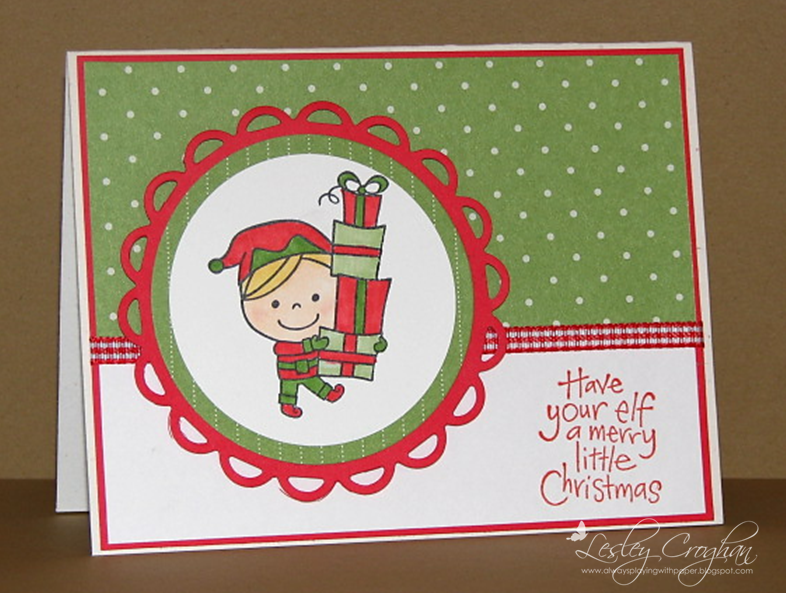 Love your card, the elf is adorable with his gifts. Fabulous festive paper and that setiment is just perfect. Another great sketch, ty. Thanks Lesley for another fun sketch. I've got to run to work now, but I'll come back tonight and leave comments for everyone! 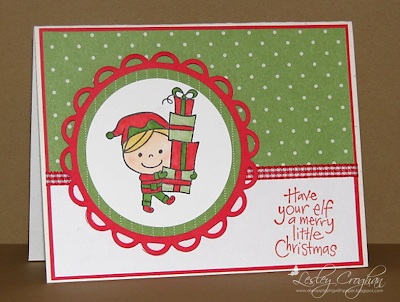 I just realized I never commented on your card, Lesley! Oops! I love the frame you used and that sentiment is just adorable. Perfect for your focal image. 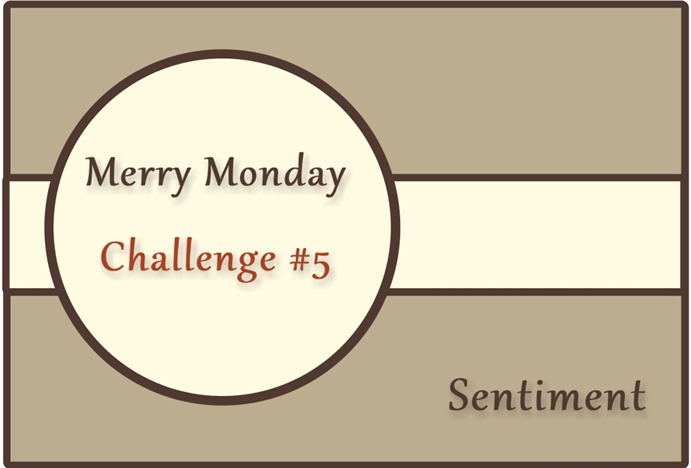 Thanks so much for this weekly challenge - it will definitely help with the stress around Christmas! Wayyy late for the challenge, but I DID get it finished, lol! Trying so hard to catch up and I'll get there...eventually!!! Scrapbook Essentials Challenge-A Sketch from ME! !